Edition #6 of the Earthgauge News podcast for the week of Nov. 12, 2017. The COP23 Climate Summit is underway in Bonn, Germany just as 2017 is likely to be the 3rd hottest year on record. More than 15,000 scientists have issued a new, dire warning to humanity. A new study says that the world can be powered by 100% renewable energy by 2050. The City of Ottawa’s latest draft Budget is out and the news is not all good for climate action. Recent state elections in the US could be good news for the climate, but it comes at a time when the Alaska National Wildlife Reserve could be opened for oil and gas drilling. Edition #4 of the Earthgauge News podcast for the week of Oct. 30, 2017. Could owning a car become a thing of the past? Fossil fuel consumption in Canada is projected to peak by 2019, but global CO2 levels shot up at record levels in 2016. The inaugural edition of our new podcast Earthgauge News! A weekly Canadian environmental news podcast featuring the top environmental stories from across Canada for the week of Oct. 9, 2017. 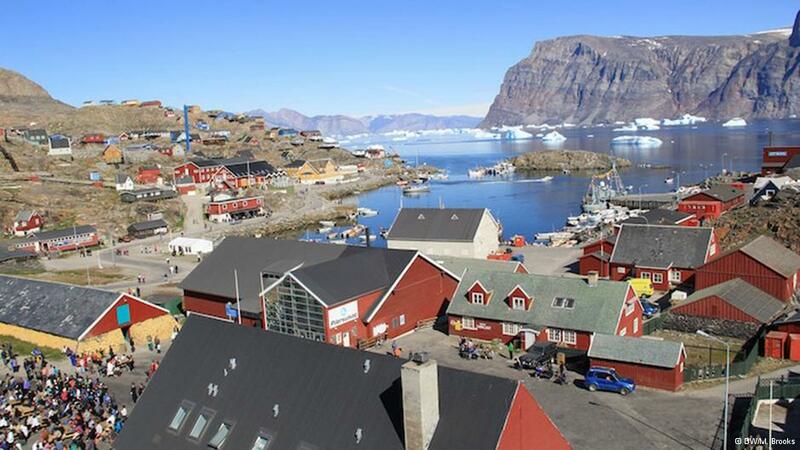 My documentary on the impacts of climate change in the Greenlandic village of Uummannaq aired in December on the Deutsche Welle international radio program Living Planet. I recorded and produced this report while working as the on-board journalist during the 2013 Students on Ice Arctic Expedition. 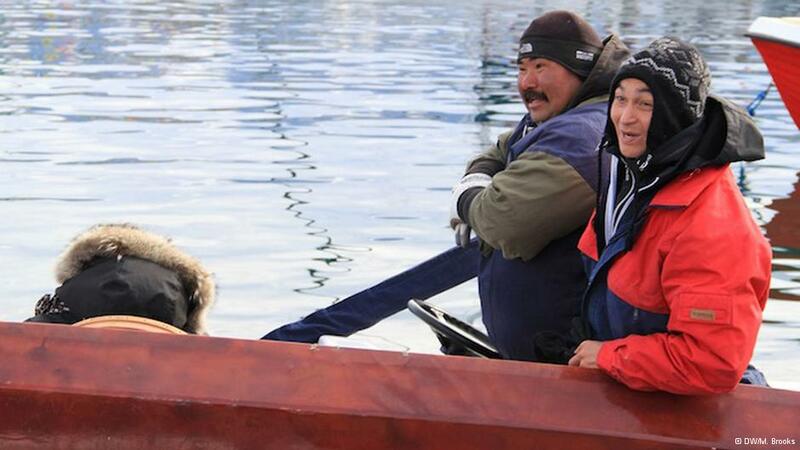 Located on a small island off the Greenland coast, 600 km (372 miles) north of the Arctic Circle, Uummannaq is one of many Inuit communities in the North that are already experiencing the impacts of climate change. Not only is the massive Greenlandic ice sheet melting, sea ice is starting to disappear too. This is causing serious difficulties for those working in the local fishing industry who depend on reliable sea ice conditions for their daily catch. Traditionally, fishers here worked on a dog sled on the sea ice in winter and by boat when the ice melted in the summer. But now, as the ice is melting earlier and becoming less stable, there is a period of several months in the spring when the ice is not strong enough to hold dog sleds but can also not be penetrated by small fishing boats. This is leading to a host of social and economic problems for the small community. Click here to listen to the documentary. The text of the story with accompanying photos is available on the DW web site. Earthgauge wins 2013 National Community Radio award! I am thrilled to announce that I was recently awarded a 2013 National Community Radio Association (NCRA) award as the best Current Affairs / Magazine show for my coverage of the Forward on Climate rally in Washington D.C. in February of this year. Click the audio player above to hear a 10-minute sample of the program or click the link below to listen to the full one-hour show. This show featured speeches and interviews from the huge demonstration in which roughly 40-50,000 people gathered on Washington’s national mall to urge President Obama to follow through on the commitments he made during his inaugural address in January to respond to the climate change crisis. This included speeches by Van Jones of Rebuild the Dream, Bill McKibben of 350.org, Michael Brune, executive director of the U.S. Sierra Club, and Jacquie Thomas of the Saik’uz First Nation in B.C., and interviews from the rally with Michael Brune and Canadian author/ activist Naomi Klein. This week is our last show before the summer break! I’m taking a few months off to recharge the batteries so we’re ready to come back strong in September for an all new season. On today’s program, we’re going to hear an interview from our friends at Generation Anthropocene who talked recently with international law expert Andrew Guzman. He has taken a step back from analyzing climate change in terms of precise temperature changes, melting glaciers and meters of sea level rise and breaks down all the ways climate change will affect humanity, from environmental refugees to changing disease patterns to social conflict. 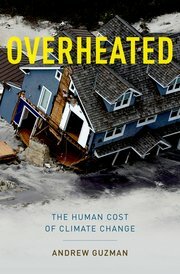 His new book, Overheated: The Human Cost of Climate Change, illustrates how nearly all of our human systems interact with climate and will feel the effects of even a 2 degrees C rise in average global temperatures. We’ll also have our usual update from Kathy of Ecology Ottawa on local environmental events and campaigns. This week’s listing includes the Great Glebe Green Garage Sale happening on May 25. It’s a huge annual event in Ottawa that you won’t want to miss. Right click here to download the whole program. Interesting times indeed on the environmental front these days and the summer ahead should be an eventful one. Earlier this week the world passed an ominous milestone when atmospheric concentrations of CO2 passed the 400 parts per million (ppm) threshold for the first time in human history. That’s right folks, when the industrial revolution began, the concentration of CO2 in our atmosphere was roughly 280 ppm but after a couple hundred years of burning fossil fuels such as coal and oil, we have emitted enough carbon into the air to push CO2 levels to 400 ppm. The last time the world saw this level of CO2 in the air was several million years ago, when the Arctic was ice-free, savannah spread across the Sahara desert and sea level was up to 40 metres higher than today. Many scientists believe these conditions are expected to return in time, with devastating consequences for civilization, unless emissions of CO2 from the burning of coal, gas and oil are rapidly curtailed. But despite increasingly severe warnings from scientists and a major economic recession, global emissions have continued to soar unchecked. The world’s governments have agreed to keep the rise in global average temperature to 2 degrees C, the level beyond which some scientists feel catastrophic warming could become unstoppable. We’ve already seen about 1 degree of warming but the International Energy Agency warned in 2012 that on current emissions trends the world will see 6C of warming, a level scientists warn would lead to chaos. With no slowing of emissions seen to date, there is already mounting pressure on the UN summit in Paris in 2015, which is the deadline to settle a binding international treaty to curb emissions. Meanwhile back here in Canada, this comes at a time when the voters in B.C. have returned the Liberal government of Christy Clark to power, much to everyone’s surprise. The NDP, who just about everyone expected to win the election, had opposed both the proposed Northern Gateway and Kinder Morgan tar sands pipelines from Alberta to the BC coast. The Liberal government has not ruled these projects out. Instead Clark has set some stringent conditions that must be met before her government will give its support, at least to the Gateway proposal. Let’s remember that the production of tar sands crude is estimated to emit 14 to 20 percent more planet-warming gases than the conventional oil that is typically found in U.S. refineries. Will the pipeline projects now go ahead? And what about Keystone XL? A decision by President Obama on this project is expected in the coming months. Against this backdrop, we hear an interview today with international law expert Andrew Guzman, courtesy of the excellent podcast Generation Anthropocene, in which Guzman discusses his new book ‘Overheated: The Human Cost of Climate Change‘.